How To Make Money With Blogservicesinc.org - Is It Legit or Scam ? Now this is something unheard for almost all of you. A new way of making money from your Blogs. Blogservicesinc is a company which deals with Advertisers and Publishers but this is not like normal Ad Platforms like Adsense. This is little different. For Publishers, what you have to do is that you have to add just one line with a link of the advertiser in your blog Post told by them and you will be paid. As this is a new service so they are manually looking for Publishers. If your blog have something according to their Advertisers than they will mail you. Now the question is that should you reply them ? Because mostly such e-mail are scam so may be you are gonna neglect it but don't do this mistake because it is not a scam. This service is totally Legit and you can use it. When you get their e-mail, just reply them and they will further guide you. They will ask you to add one line in your particular blog post just like the one in image below. The last line in yellow is the line which i put in my Post and guess what, i got 5 dollars for it :) They will not ask you to add something irrelevant. It will look like that it is the part of your Post Paragraph. Now the question is that if the links are low quality than what ? Simple, just add "nofollow" tag to the link and if the advertisers ask you to remove "nofollow" tag than you have to remove but few links will not harm your blog much and in my opinion you can add those links because they are not too bad. 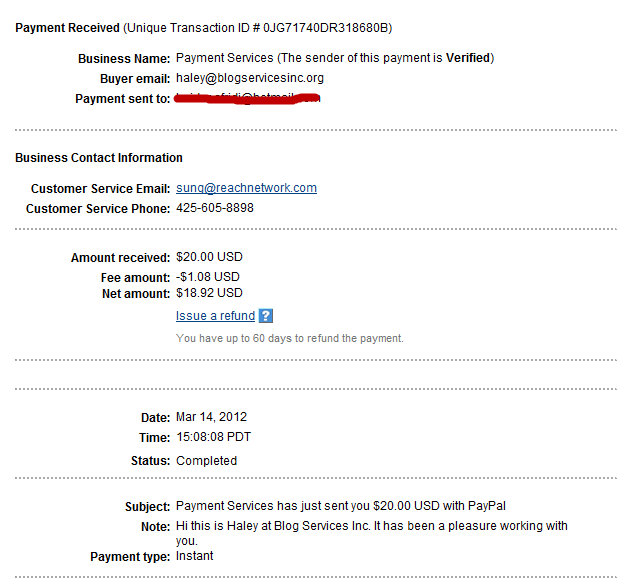 Blogservicesinc is not a Scam and they do Pay so try them. If you want to manually contact them than go their website and submit the form and if they have advertisers which suites your blog, they will contact you . BloggingeHow | Making Blogging Simpler: How To Make Money With Blogservicesinc.org - Is It Legit or Scam ?